A short break to one of England's renown areas of natural beauty, the Cotswold was just the breath of fresh air that I needed! The Cotswold spans over several counties in south, central England. We stayed in Cirencester in Gloucestershire, the capital of the Cotswold and explored the historic limestone houses and stretched our legs across the beautiful countryside. Every cottage that we passed I kept thinking, people actually live here?! With no set plans on the agenda, trainers packed and barely any makeup I was ready for peace, quiet, and some hearty meals. We stayed in a quaint hotel, not far from the village center. 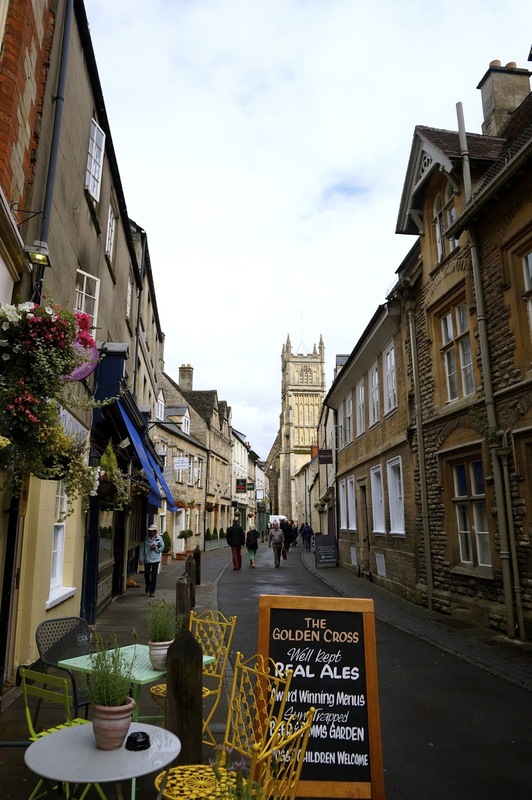 We explored the village of Cirencester, narrow pathways of shops and traditional pubs. It wasn't crowded with people, they were friendly and said hello - a rarity in London! We found this lovely coffee shop - Coffee #1, which smelt of delicious coffee beans when you walked it. I'm sadly allergic to coffee but they have loose leaf tea, yummy desserts and one of the best hot chocolates I've tasted - seriously good. The shop also has so much more character than your normal Starbucks, wish there was one in the city! Of course, we had some hearty English meals. Steaks, lamb, pork belly, umm good if you like meat! Every restaurant had that old fashion rustic feel, the kind of place you can sit in all evening, accompanied with a nice glass of wine, I slept happy! Cirencester Park, which is a private estate but open to the public is 3,000 acres of land and seriously like no park I've seen before. Horses roaming around, tall forest trees and acres of lush greenery it was so peaceful and untouched. I felt like I was in a Jane Austen film. What are your favourite countryside breaks? Worth a read: Discovering Dorset. Ah this place is so picturesque! It does remind me of a Jane Austen movie haha. That food looks amazing too. everything looks so cute and the food so yum. glad you had fun! Beautiful post, gorgeous photos! This place looks absolutely unreal! Pretty photos!! Looks like a really lovely place. oh gorgeous, I have decided that if I ever go back to the UK again I will be doing a road trip of the cotswold. I drove through there last time & it looked so nice! I love your little weekend mini trips. I'd want to go to exactly the same type of places with Jon! I think we have the same vacation palate haha. It really is! I love places that don't really modernise over time. Thanks Jenn, yes the food was really good! Thanks Alina, yes I love breaks from the City there's so much to explore! We did thanks although i was keen to get back to the city haha. It's definitely worth a visit, such a nice countryside break! haha i love country breaks, living in the city gets too much sometimes! Definitely visiting Cotswolds next time! The area is gorgeous + I'm totally in love with the third last photo! This is all so quaint. On a good day nothing beats the English countryside, fresh air, rolling hills and excellent food. This looks like the perfect getaway from City life! Have to pay a little visit myself I think. Love reading your blog!